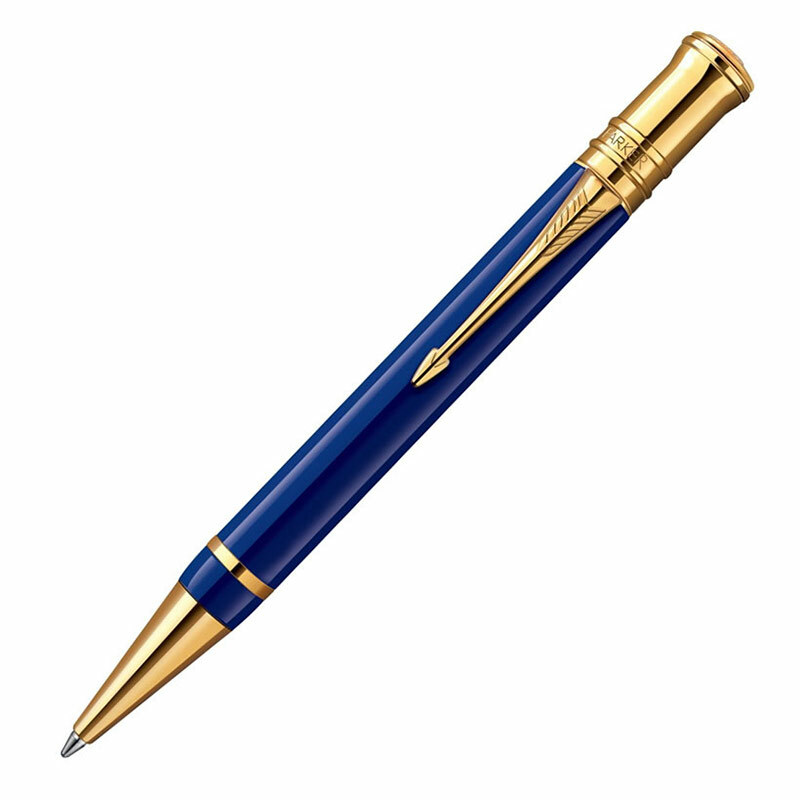 These magnificent ballpoint pens are from Parker's prestigious Duofold collection. 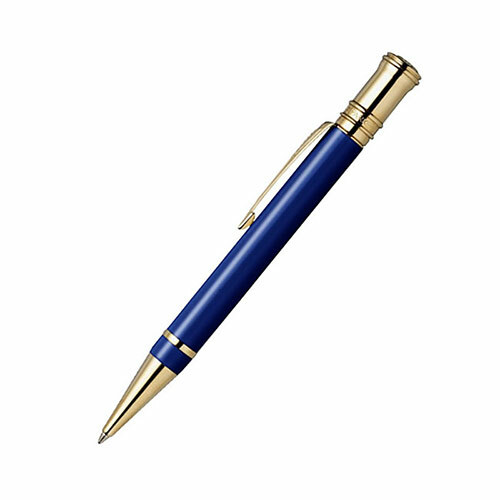 Delicately crafted from solid cast acrylic, the body has a lacquered deep blue colour finish with contrasting gold trim. 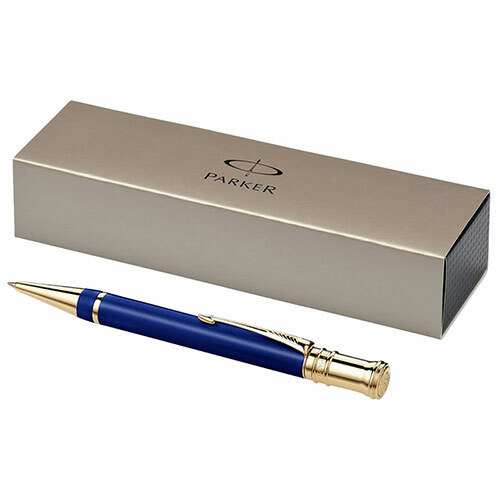 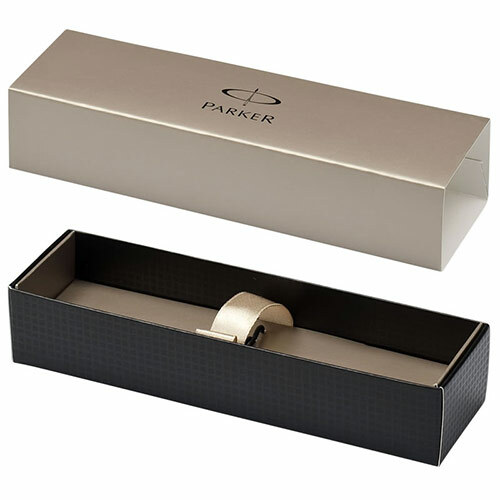 It writes in black ink and each pen is supplied in a Parker branded presentation box. These superb pens are ideal to personalise to create a prestige and memorable gift, and they are offered here with free text and/or logo engraving.